Rita is our Head of Global Sales, and is the leader of our account management teams located in the UK, Americas, Europe and the Middle East. She is also the leader of our augmented translation technology solutions practice. Based at our head office in the City of London, she has extensive experience in developing innovative strategic language and multilingual content management solutions that add value and efficiency to the translation process. Her diverse client base includes global multinationals in the energy, heavy engineering, e-learning and retail industries that have exacting requirements for complex technical translation. Recent examples of her work include supporting a client in the manufacturing industry to develop a new process to securely manage the translation of hundreds of documents and over a thousand CAD drawings totalling over 3 million words; and devising the innovative key data abstraction service that is used by corporate clients in the retail, financial, and engineering industries to identify and translate key information in thousands of documents that is required for regulatory compliance purposes. 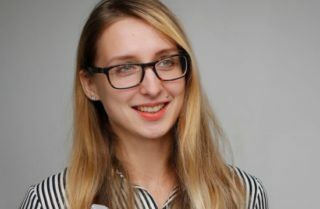 Other examples of Rita’s activities include helping a client to save over £250,000 on website localisation by developing a bespoke API, and advising companies on topics such as transforming multilingual workflows and maximising the return from translation memory and machine learning software. As part of her leadership position, Rita is an executive coach, mentoring young people through the Today Academy talent management programme and our strategic partnership with the Council of British Chambers of Commerce in Europe (COBCOE). Rita is fluent in English and Lithuanian and studied marketing, holding a BA from the London Metropolitan University.